Tardigrades (water bears) are microscopic aquatic animals found in various habitats such as marine, fresh water or moist terrestrial environments. 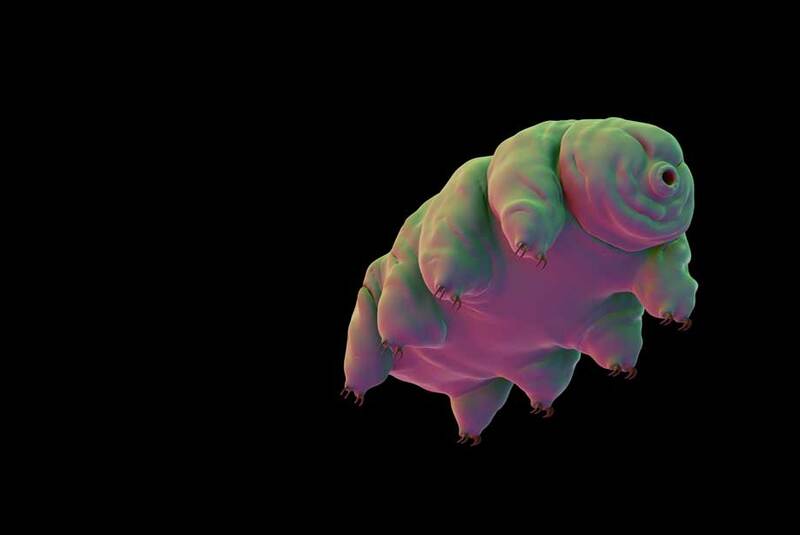 Surprisingly, water bears can survive extreme conditions such as boiling and freezing temperatures, high pressure, rapid dehydration, starvation and large doses of radiation. They have even survived in outer space. The R. varieorantus genome was sequenced to understand the molecular mechanisms that enable exceptional tolerance to harsh environments. A recent study identified the Dsup (Damage suppression) gene that protects DNA from radiation. The Dsup protein can also prevent and repair damage from reactive oxygen species (ROS). High levels of ROS can cause significant damage to cell structures and can lead to aging and cancer. Researchers inserted Dsup into human cells and exposed them to X-rays. This unique protein confers an ability to tolerate large doses of radiation that would usually kill other animals. Significantly less damage (40-50%) was seen in the cells containing the modified genetic material. These findings indicate the significance of sequencing genomes. Identifying proteins that provide protection from extreme conditions will be highly beneficial. This research offers clues into stress tolerance and the limits of cells. Could similar DNA protection be passed on to plants, humans and animals? Crops could be cultivated in harsh environments while humans and other animals could possibly become radiation resistant that is helpful to people undergoing radiotherapy and even space flight. Enzo Life Sciences provides a wide variety of products for your Cellular Analysis platform. Our product portfolio provides kits, probes, reagents and libraries for your Oxidative Stress research needs. We offer a highly sensitive ROS-ID® Total ROS/Superoxide detection kit that can directly monitor global levels of ROS with high specificity and accuracy for live cell studies. Rapid DNA damage ELISA kit for cancer, apoptosis and oxidative stress.